The word “Advent” comes from the Latin adventus, which means “coming” or “arrival.” As a season of the church year, Advent is the four weeks before Christmas that prepares us to celebrate the Nativity, the birth of Christ, on December 25th. Christmas is a big mystery. We do not understand how exactly God comes to be among us in human form. Taking time to prepare to celebrate Christmas allows us to enter more fully into the mystery. As we say in Godly Play, if we don’t take time to get ready for Christmas, we could “walk right by this mystery" without ever really experiencing it. And so, we spend the four weeks before Christmas anticipating and preparing for the coming of Christ. Advent has a double spiritual meaning. While we are anticipating the arrival of the birth of Jesus, we are also anticipating the arrival of the second coming, when Jesus will return for the Final Judgement. 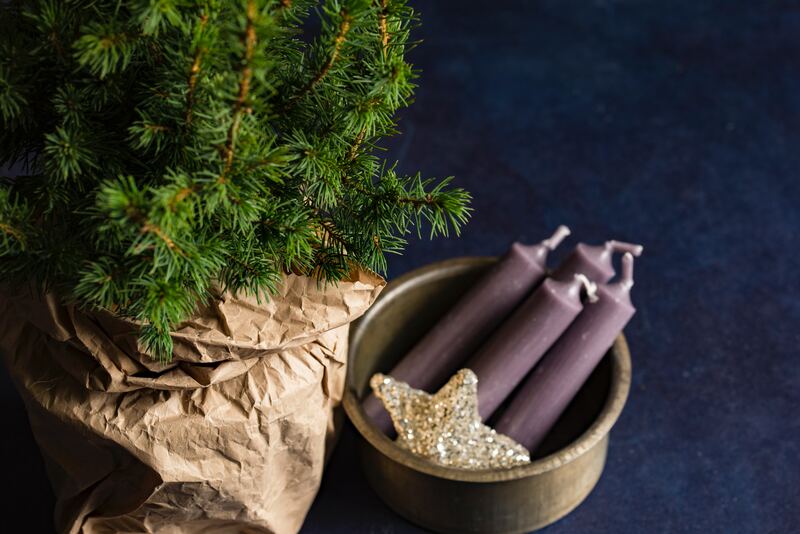 Churches using the Revised Common Lectionary will find both themes present in the lessons during the season of Advent. One resource for exploring the themes associated with Advent is this free Advent Bingo from Loyola Press. Advent is a season of preparation, expectant waiting. We are preparing to remember and to celebrate the birth of Jesus. It is a time to practice waiting, a universal experience for people of all ages. During this time, we remember the prophets that foretold Jesus’ birth (see Isaiah 7:14, Isaiah 9:6-7, Jeremiah 23:5-6) and the nine-month journey of Mary and Joseph before the birth of Jesus (see Luke 1-2, Matthew 1). People prepare to enter the mystery of Christmas in different ways. Secular preparations begin even before Halloween in some places. As the church, we are unlikely to be able to prepare more loudly or with more flash, but we can invite people to prepare intentionally. 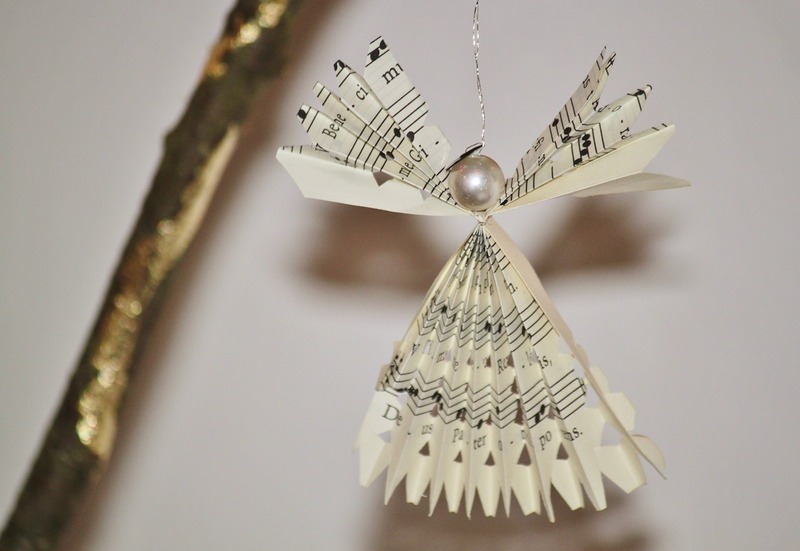 You might invite members of the congregation to explore how Christians intentionally anticipate Christmas through song, prayer, scripture, liturgy, service, Advent wreaths, or Advent calendars. 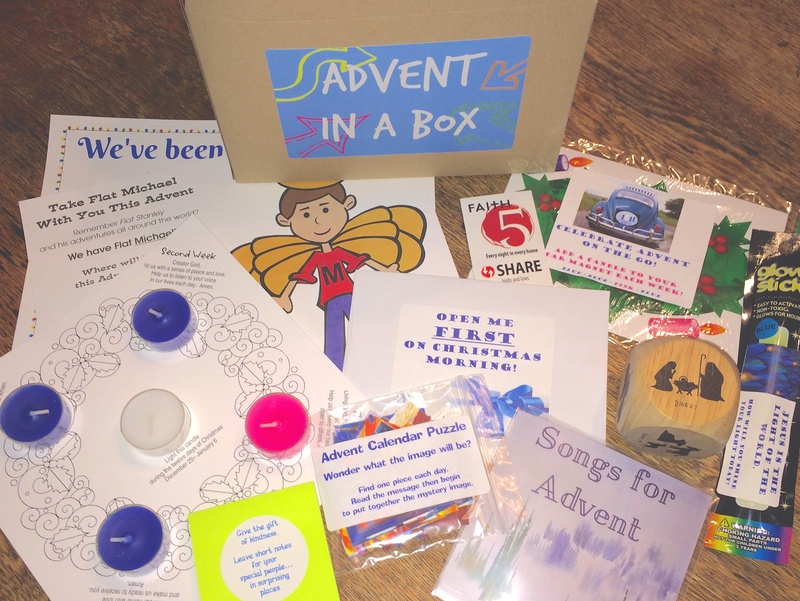 One resource for teaching on anticipation is Building Faith’s article, Teaching Advent A, With Hymns! Each Advent every church I know sings, “O Come, O Come Emmanuel” (Hymnal 1982, #56). Immanuel is one of the names for Jesus found in scripture (Isaiah 7:14), it means “God with us.” The season of Advent anticipates God’s time on earth in the person of Jesus. During this time God was with us in a special way. God’s presence with us in human form means that God knows what it is like to be human. One resource for exploring God’s presence with us through the person of Jesus Christ is Ponder These Things: Praying with Icons of the Virgin by Rowan Williams. For suggestions on how to use this resource, check out the recent Building Faith article on Praying with Icons for Advent. Sarah Bentley Allred is an MDiv. student at Virginia Theological Seminary. 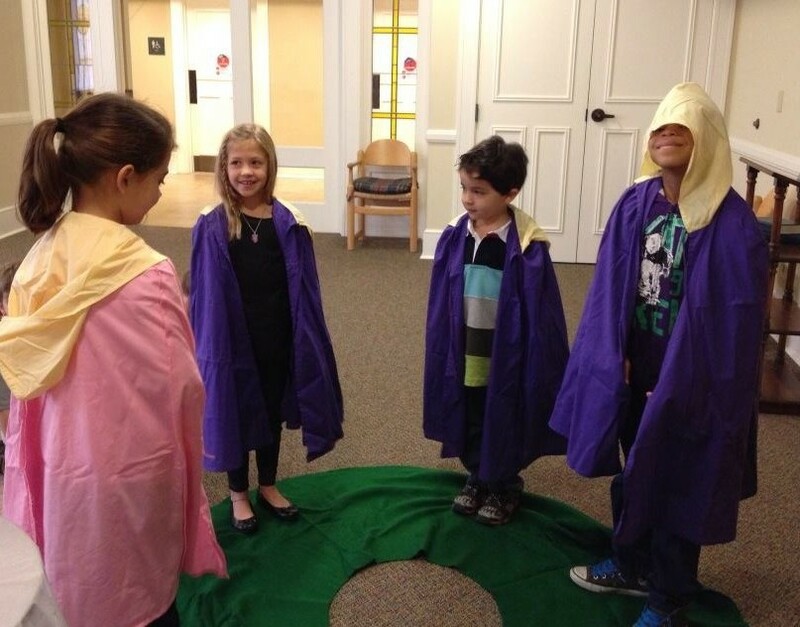 Previously, Sarah served for four years as Director of Children’s and Youth Ministries at St. Mary’s Episcopal Church in High Point, North Carolina. She loves local coffee shops, board games, the beach, and exploring new places with her husband, Richard, and their dog, Grace.